Erin Anderson is maddening, frustrating, and irresistibly beautiful. She is also the First Daughter of the United States. Untouchable for so many reasons. When a home-grown, domestic terrorist targets Erin, Colin Doyle can no longer keep the much-needed distance between them. The only way to keep her safe is to take her and run. It should be an easy task for the former Green Beret. He’s a highly skilled mercenary, trained in the art of combat and evasion. Only, Erin proves to be more cunning than any enemy combatant he’s ever come across. Colin’s guard falters and he shows her a side that is far more perilous than the cold-blooded killer he wants the world to see. One that is so sweet and gentle Erin recognizes she's found the man she wants to spend the rest of her life with. Now all they need to do is stay alive long enough for her to convince the stubborn, Alpha-male she’s right. Erin and Colin fall into a deadly assassin’s plot leaving the Red Team on a fast-ticking clock to save them. 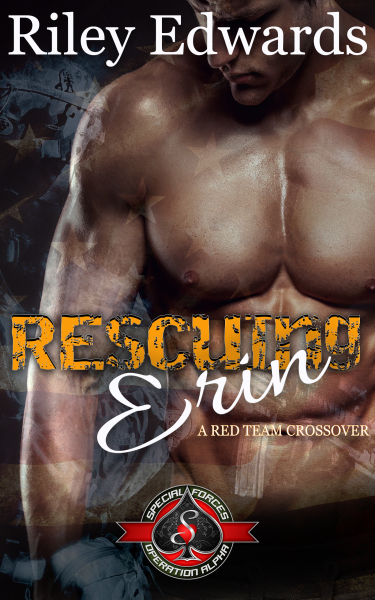 When the team learns Erin was only the pawn, and the real threat has far greater implications, the Red Team must call for backup. With the help of Susan Stoker’s Delta Team, SEALs, and all new Legacy SEALs, there may be a chance to save the most powerful man in the world. If they fail, all hell will break loose.